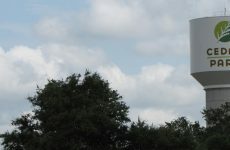 The City of Dothan, Alabama, has selected Alcara for a pilot deployment project for an electricity and water advanced metering infrastructure (AMI) program. Upon successful completion of the pilot, the City of Dothan plans to first roll out its advanced metering infrastructure (AMI) project to include 31,000 Aclara I-210+ and kV2c electric meters. It will then expand the AMI system to include as many as 35,000 water meters. The project, which will utilize the Aclara RF point-to-multipoint network, will provide several key benefits to the utility and its customers. The Aclara RF network provides optimum performance and reliable two-way communications. It employs licensed 450-470-MHz radio frequencies for better propagation of all inbound and outbound communications between data collectors and endpoints. “Aclara has enjoyed a long and valued relationship with the City of Dothan, and we are very pleased that they chose Aclara for this important project,” said Allan Connolly, president of Aclara and divisional vice president of Hubbell Power Systems. 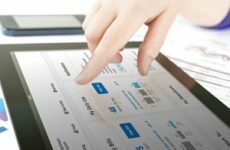 “Our ability to meet all their requirements in terms of providing an all-in-one solution, and our capability to scale and expand the program as needed, addressed some of their important selection criteria. In addition, the ability to integrate our AclaraONE unified headend software into the system will offer many other advantages such as automatically reading their water meters in addition to the electric meters on the same RF network. “The fact that we can integrate water, gas and electric meters into a combo solution operating under a single headend software provides advantages including lower total cost of ownership over other technology and service providers once the whole network is installed,” Connolly added. Located approximately two hours south of Montgomery, Ala., Dothan is home to more than 68,000 residents. The city is the main transportation and commercial hub for much of southeastern Alabama, southwest Georgia, and nearby portions of the Florida Panhandle. Aclara, now part of the Hubbell Power Systems family of brands, is a world-class supplier of smart infrastructure solutions (SIS) and services to more than 800 water, gas, and electric utilities globally. 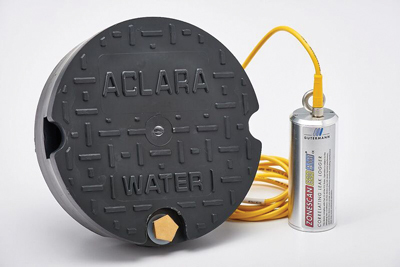 Aclara SIS offerings include smart meters and other field devices, advanced metering infrastructure and software and services that enable utilities to predict and respond to conditions, leverage their distribution networks effectively, and engage with their customers. Aclara won a Frost & Sullivan Global Smart Energy Networks Enabling Technology Leadership Award in 2017 and was named a finalist in three categories of the Platts Global Energy Awards in 2016. Learn more at Aclara.com, follow on Twitter @AclaraSolutions or read its blog.